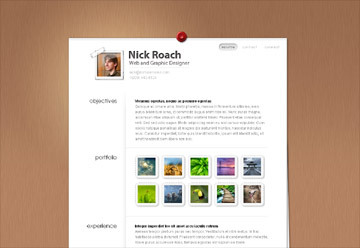 Resume Website Template – Stand Out from the Crowd! Looking for a good Resume Template for WordPress? Click here and check out this resume template. If you’re looking for a complete setup including hosting, domain name, and maintenance, keep reading below! My Complete Website Package is based on themes from Elegant Themes and one of their themes is a Resume Website template which you can preview here. It comes in 5 different colors. As you know, it’s important to put your “best foot forward” and make yourself memorable when presenting your resume. This resume template is highly functional and very attractive. It will make you stand out in the mind of your potential employers, customers or clients and that is priceless! My Complete Website package is typically $190 one time fee and $19/month but the price to get a resume website setup is only $90 per year. This includes domain name, hosting, website design, and ongoing maintenance. If you need changes made to your online resume, just contact me and I’ll make the changes for you. This is a no-hassle option for people who want a resume online but don’t want to mess with the details. Get Your Resume Website Online for $90/year! Includes your own domain name www.yourname.com! Contact Me if you’re interested in getting a Resume Website setup today.